List of top 10 MBA colleges in Chennai for MBA? List of top ten MBA colleges in Chennai? Weather to chose Madras University or Anna University colleges for MBA course? List of top colleges for MBA course in Chennai? Is AICTE approval necessary for B.School with assured placement? List of top MBA colleges in Chennai? Top colleges for MBA in Chennai through TANCET? Also provide placement details of it? List of colleges in Chennai for doing MBA after scoring 560 marks in MAT? Re: List of top 10 MBA colleges in Chennai for MBA? 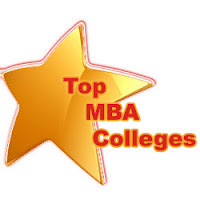 List of top 10 MBA colleges in Chennai for MBA. Indian Institute of Knowledge Management, Chennai. Anna University, Department of Management Studies, Chennai. Bharat University- School of Management Studies, Chennai. Department of Management Studies, IIT Madras. Department of Management Studies, Rajalakshmi Engineering College, Chennai. Galaxy Institute of Management, Chennai. Hindustan University School of Management, Chennai.Institute for Financial Management and Research, Chennai. Loyola Institute of Business Administration, Chennai. Measi Institute of Management, Royapettah. MOP Vaishnav College for Women, Chennai. School of Management, Veltech Dr RR and Dr SR Technical University, Chennai. Sri Sai Ram Institute of Management Studies, Chennai. SRM School of Management, SRM University, Chennai. St. Peter's Institute of Management, Chennai. Address : GOKULBAGH , #833, E.V.R. Periyar Highroad, Arumbakkam,Chennai-600106, TamilNadu , India. Address : # 123, 1st Main Road, Kengeri Satellite Town, Bangalore – 560 060. Address : Jeppiaar Nagar,Old Mamallapuram Road, Chennai– 600 119. All the best for you career. 1. Indian Institutes of Technology Madras. 10. Vaels Institute of Business Administration. Address: No. 11/D14, 4th Main Road, SIPCOT IT Park, Old Mahabalipuram Road, Pudupakkam Post, Siruseri, Pin – 603103.